The Armed Forces Memorial (AFM) at the National Arboretum, inscribed with 16,000 names was dedicated in the presence of Her Majesty the Queen on 12 October 2007. It is a nationally significant focus for remembrance, providing recognition and thanks for those who have given their lives in the service of the country since the two World Wars. 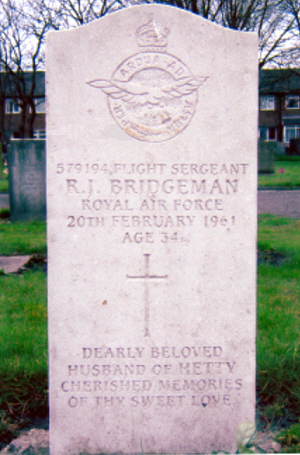 Flight Sergeant Bridgeman was one of six RAF personnel killed in an Avro Anson which crashed in the Isle of Man in February 1961. 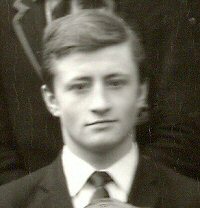 Rusty, as he was known to his contemporaries, had joined the RAF as Boy Entrant and was engaged on work at the Technical Training Command Communications Flight at RAF Wyton. Six lives were lost when a Royal Air Force Anson aircraft crashed into North Barrule mountain in fog in the Isle of Man today. The aircraft was bound from Wyton, Huntingdonshire, to Jurby, Isle of Man. The aircraft was carrying a pilot and navigator and four others. The six bodies were brought to Ramsey. The point where the wreckage was found was about 300ft from the mountain top, which is about 2000ft high. The six killed were Wing Commander JL Aron, Brampton, Huntingdonshire; Squadron Leader C Heseltine, Brampton; Flight Lieutenant HD Furness, Bedford; Flight Lieutenant BH Miller, Huntingdon; Master Technician EN Robinson, Brampton; and Flight Sergeant RJ Bridgeman, Cambridge. Rusty is remembered in Burwell on the Village War Memorial (wrong date) and in the Parish Church Memorial (correct date) and recorded on the Burwell Remembers website. Plaque on Burwell Village War Memorial. Rusty died in 1961 not 1960. Always cheerful, bubbling with life and energy, he was an invigorating personality. His contemporaries will always remember his throaty chuckle, and the quips and opinions which ensured that no lesson became tedious. So much a part of our school life, he is a friend we shall feel the loss of in the adult world. Two RAF officer cadets at Cranwell, Lincolnshire, who died after a climbing accident in Debyshire were named as Flight Cadet Colin John Capes, aged 19, of Park Road, Cheveley, near Newmarket, and Geoffrey Daniel Gilbert Matthews, of Mill Lane, Tenterden, Kent. They were found unconscious and roped together at Stanedge Edge on Thursday. 20/12/13 Steve Herod 57 writes: Colin and I both joined the Army Cadets when they opened at SGS. We had great fun together and travelled to many shoots on the Thetford Ranges, either hitch hiking or on motorbikes/scooters: also we used to turn up at other units' weekend camps uninvited so that we could just take part in the activities. I have many fond and happy memories of our cadet activities together and was extremely sad to learn of his death two years after I had left school and started work. Touch DFC, Donald (late 1920s entry? ): We very much regret to hear that Flight Lieutenant Donald Touch DFC was fatally injured in an air crash at Moorgreen on March 13th. He began flying as an amateur before the war and has had a very distinguished career in the RAF. (Soham Grammarian, Summer 1948). Two Royal Auxiliary Air Force officers were killed on Saturday [13th March 1948] when their Mosquito fighter crashed in a field at Moor Green, Nottinghamshire. The two men, Flight Lieutenant Michael Rook, 34, and Flying Officer Richard Boyle, 29, members of the 504 (County of Nottingham) Squadron, had just left Hucknall RAF station on a normal training flight. VP345 - TIII - 504 Sqn - Caught fire on take-off and crashed Hucknall 13.3.48. 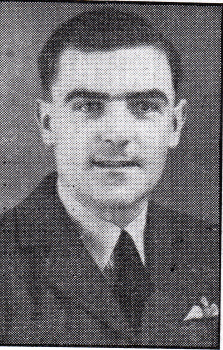 It appears that the crash on 13th March 1948 was not the one in which Donald Touch died. As shown above the National Armed Forces Memorial record states he had an AFC and that he died on 10 April 1948. A Mosquito aircraft of 504, County of Nottingham, Royal Auxiliary Air Force Squadron, crashed in a field at Moor Green on Saturday night [April 10 1948]. The two occupants were killed. 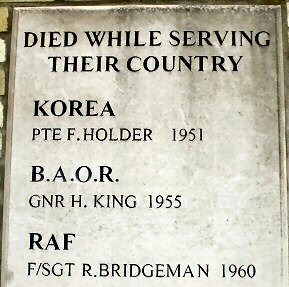 504 Squadron Association records state that 116513 F/O [sic] Donald Frank Touch AFC, AAF No 91311 [aged 31] and AC[2 Eric John] Barker [aged 19] were killed on 10/04/1948.